There are so many small business marketing strategies to choose from that it can feel impossible to predict what will work for your company. You could spend five hundred dollars to buy a mailing list and a stack of full-color promotional postcards, but how can you tell whether those cards will reach the right people at the right time? You could spend a few hundred dollars to have someone spiff up your website, but how can you tell if anyone will ever see it? Start off your small business marketing strategies by getting your local marketing in order. This is especially important if you want to cater to a local audience in any way. Get your company set up with Google My Business and some popular review sites, such as Yelp or some of the main data aggregators like Factual. 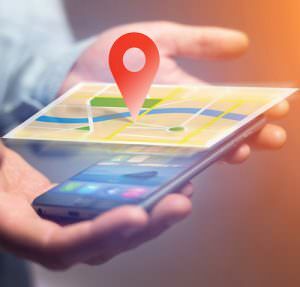 Getting your company’s name out with these popular sites will help more people find you and will increase your chances of showing up at the top of the Google Map. Connect with the local community in any appropriate way you can find. Partner up with other local businesses with similar target audience and find easy ways to build each other up. Donate some goods or services to a local charitable raffle. Tons of people contact their chamber each year looking for reputable local services. Your Chamber of Commerce probably also offers “welcome baskets” or something similar to new residents in the area. This could easily put your brochure into the hands of every person who moves to town! Get your website updated, and be sure that it’s mobile-friendly. The majority of Americans now shop online, and a significant portion of online shoppers browse for products and services on their tablets and smartphones. So make sure those potential customers have full mobile access to your entire website. Google will be moving to a mobile first algorithm soon. You’ll want your website to be fast and responsive to create a better user experience and improved Google rankings. Another key to making sure your website reaches the correct people is to make sure it’s search engine optimized. SEO-friendly content on your website means the people who use search terms closely related to your business are more likely to find you on the Google results page. Once again, with so many people shopping online now, no company can afford to skip this step. Unless you literally live in the middle of nowhere, then starting with local marketing strategies is usually the safest way to get going. Focus on the online and offline ways that you can reach your neighbors and acquaintances. When it comes to getting your website optimized for the search engines and mobile device users, these steps will benefit local and global audiences alike. Great digital marketing plans are all about helping people find you. Digital marketing strategies simply set your company up to make it easy for people to find you when they need your products or services. If you think your company could use some help with local search, SEO, PPC, mobile-friendliness, or any other small business marketing strategies, call the experts at PersistSEO at 770.580.3736.